Congratulations to Brooklyn Technical High School and Hunter College High School for participating in the NY state finals in Albany, New York. A special congratulations to Brooklyn Tech’s team, the 2018 runner up! 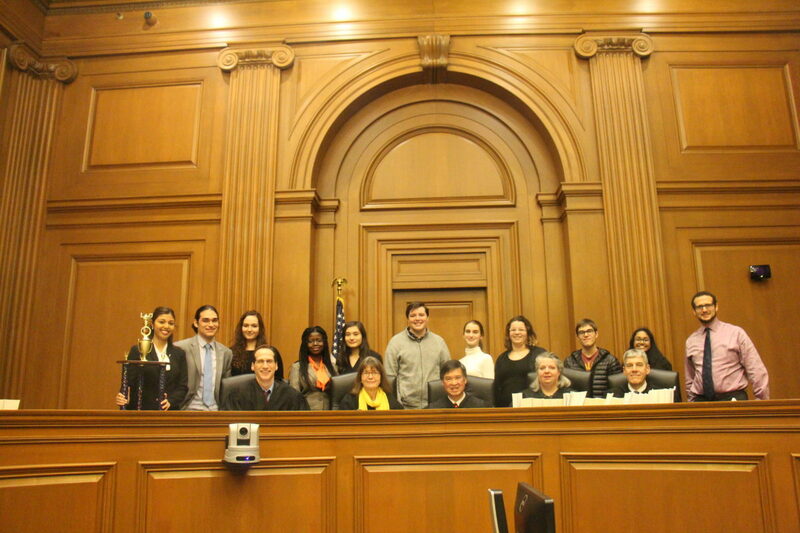 The Justice Resource Center (JRC), in partnership with the New York State Bar Association (NYSBA), provides high school students the opportunity to participate in a citywide Mock Trial competition, with the winning team moving to the state finals. Teams of 8 or more students compete at least twice in a multiple-elimination round tournament. A team can be from a designated course, or an after school program. Students compete across all five boroughs from February through May, and the top teams go on to the state finals in Albany. If you are new to Mock Trial, or are coaching students who are new to your team, you can download the NYSBA’s Mock Trial 101 video for free. Schools are assigned a lawyer-coach, who works with the assigned teacher-coach from the school. Teachers are afforded the opportunity to participate in a professional development and informational session provided by the JRC. 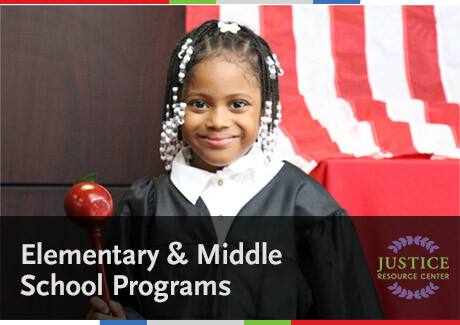 The case, written by the NYSBA’s Law, Youth and Citizenship committee is provided to each school. All rounds take place after school at various borough courthouses with lawyers presiding as judges. The final round is held at the United States Federal Courthouse with a federal judge presiding. All students are invited to observe the final round of the competition, followed by an awards ceremony and celebration for all participating students.